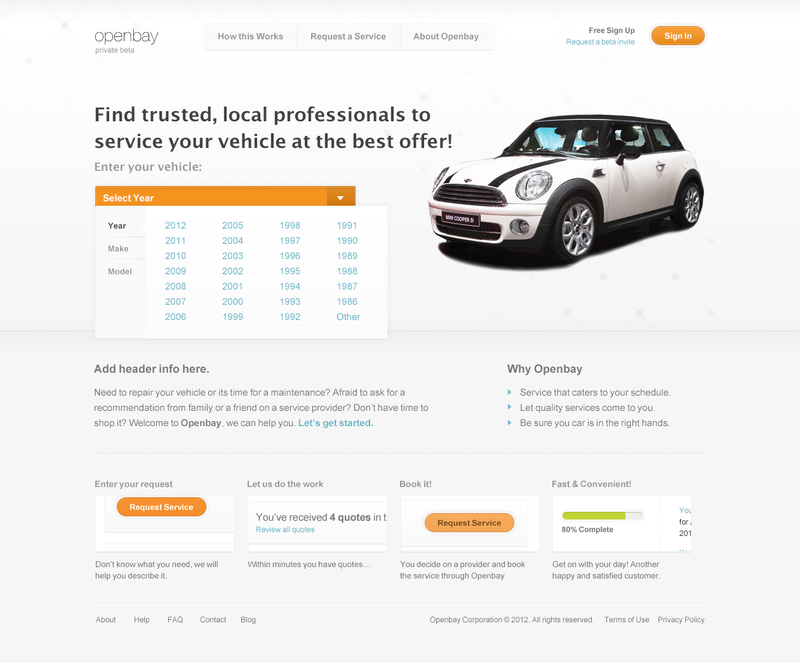 I worked with Openbay to design + build an outstanding MVP. Imagine an app that gets your car serviced. It identifies services you need, connects you with nearby repair shops, and takes care of payment when the work is done. The process is easy and intuitive. It even reminds you when it's time to get an oil change. Best of all: it lets you find shops by price and user rating. The same app takes care of the Service Provider side of things. It handles repair scheduling and customer messaging. It even processes payments automatically. Creating a new app, especially in a space where there is no real competition, is an unique task. Gaining traction depends on paying attention to the details. A clear and simple user experience proved key for Openbay in growing its user base.